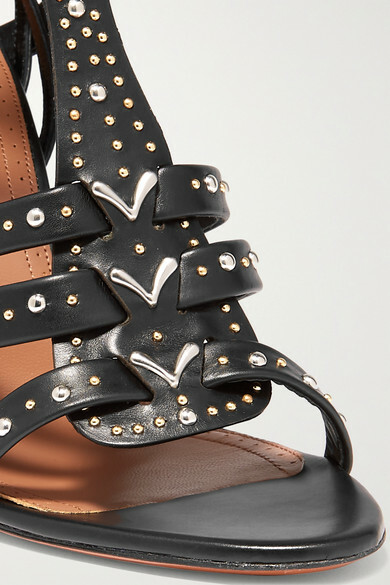 Alaïa's sandals have been crafted in Italy from smooth black leather and decorated with gold and silver-tone studs along the T-bar and ankle straps, which support and frame your feet. They're set on a 110mm stiletto heel for the most elongating effect. Shown here with: Alaïa Bucket bag, Alaïa Dress, Alaïa Belt.